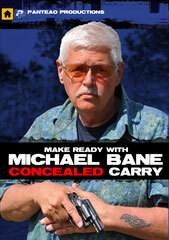 The Michael Bane Blog: My Safe Runneth Over! Please comment on how much difference you in your considered professional opinion, find between the X95 in 9x19 and the SAR. Does the X95 have enough edge to make folks dump the SAR, take the loss and move to an X95? Giving a slight edge to the X95 in the field where it can be a tad shorter, the rails might be more rigid and stable and allow more options for lights (left or right for shadows or barricades and cover say), and magazine release manual of arms more like the modern sporting rifle or AR. Some report tripping the magazine release without intent on the SAR because it's close to the hand. Still in the U.S. the overall length for the two is the same because of U.S. laws. and most of the rest seems to me nice but not enough to give up the SAR in hand to move to the X95? Gee. It must be time to add some "Liberty" to your secret bunker. I own an SAR, have rotated it into the position of "house gun," and I'm looking forward to using it in local 3-Gun matches when we get through the winter and the local season starts up again. My SAR has been modified with a full-length Razorback rail, bringing it up to AR standard height, and a Geisselle Super Sabra trigger. You have to work with the Tavor and its unique manual of arms, but it's not particularly complicated. I was able to work with Israeli military trainers in Israel, which helped a lot. Granted the X95 is much closer to AR stand positioning on the mag release and the larger handguard is replaceable, but I don't see the X95 as a necessary replacement for the SAR. That's why I ordered my X95 in 9mm…it's slated for Pistol Caliber Carbine division in USPSA. If we were picking submachine guns, however, it would be al X95 all the way. Speaking of great bull-pups; I noticed the FN's FS2000 seems to have vanished into thin air. It's no longer shown on their website. Too bad. I was just about ready to "pop" for one. Of the "Tavor", AUG and the FS2000, I tended to go for the latter. Is the Tavor built for extreme cold weather use? Or the Galil? They sure are great for playing in the sand box. In the end, I'm still very leery of these monstrous plastic chassis. It will be interesting how the "plastic" Galil fairs, including in our extreme cold here in the north. Thanks. I bought an SAR in 5.56 flat dark earth -asked your preference of colors when I bought it - and an SAR in 9x19 black along with the RatWorx suppressor ( long since received at my LGS but I'm still waiting to bring it home, OK to shoot at the LGS range not exactly smiley face). If and when a .300 BLK is available I suppose I'll go with the X95 assuming a nice suppressor like the Ratworx on the .300BLK. I liked the FS2000 for either shoulder use with the forward ejection. I gather that rarely the forward ejection would jam; access with little windows wasn't as good by my lights but maybe with enough experience.. I gather that some folks will drop the magazine inadvertently on the Tavor SAR. 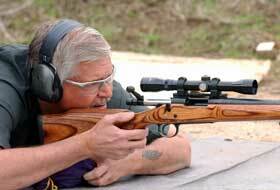 I like the AUG for carrying - at one time IIRC it was popular riding a 3 wheeler at Gunsite. I like the TAVOR better for shooting. I would not say the Tavor is built for extreme cold weather use - maybe, I really don't know. For myself I define extreme cold weather as a sustained high of negative 20 Fahrenheit or lower which is about as cold I've experienced on a sustained every day basis - minus 40 and down on an exceptional basis. For extreme cold weather I like a bolt or the M14 and would consider the FAL with its gas adjustment and maybe a G3 roller lock though I am speculating on that last. I like the ability to take down the TAVOR all the way with great ease and to ultrasonic clean the barrel and bolt assembly and lockwork outside the plastic stock. I do believe this would help prepare the Tavor for extreme cold weather performance.